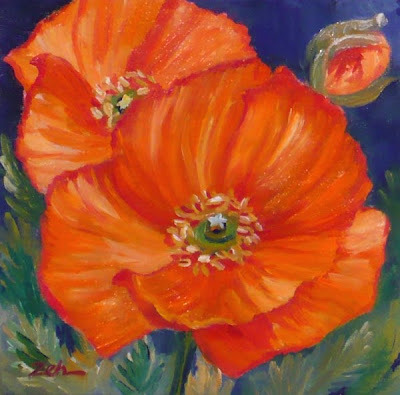 Poppies are delightful flowers and they make a bright happy painting! This painting has been sold. See more of my original art in my website: zehoriginalart.com. Have a lovely day!